It rains 265 days a year in Yellow Mountain, China. 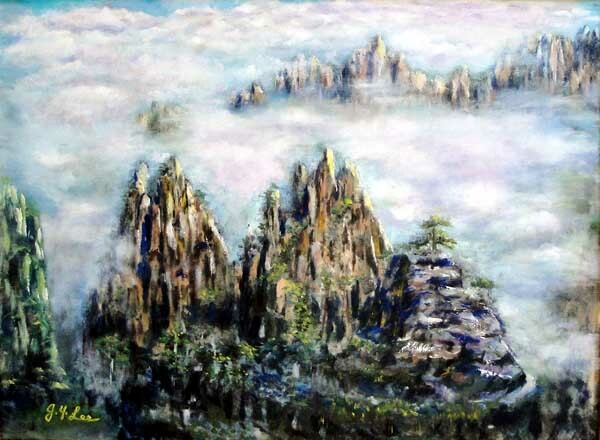 If you are lucky and come right after the rain, you may see breathtaking scenery with the clouds/mist surrounding the giant rocks and pine trees - a characteristic view of the Yellow Mountain. It almost feels like your are inside the Chinese brush painting.